Speare Seeds has high standards and a commitment to the seed industry to deliver superior quality products and to find the best seed product for each customer. We select seed from suppliers that can deliver the latest in research and development. We strive to have our products out-perform and out-last all other brands. Our products have been designed exclusively for the sports turf industry to provide turf that is tough, traffic resistant, drought tolerant and durable. Speare Seeds’ primary importance is selling a great product to you. But we are also very involved in supporting the industry where we can. We are a contributing member of the Sports Turf Association (STA), Ontario Golf Course Superintendent Association (OGSA), National Sod Growers Assocation (NSGA) and the Landscape Congress. Our new Turf Genius® Self Repairing TF and Turf Genius® Self Repairing PR products are the most advanced self-repairing / spreading blends on the market. Our mixtures can be used for not only sports fields, but in your own back yard as well. With Speare Seeds you won’t be disappointed. Titan Ultra Tall Fescue contains rhizome roots which fill in bare spots (repairs itself). This mixture promotes deep-rooting plants with great drought tolerance. Speare Seeds has taken a top self-repairing variety specifically focused on improved performance in colder climates. Our variety is well known and valued for providing durable attractive turf, even when conditions are less than ideal. Our mixture continues that tradition with improved cold weather performance, darker green colour, finer texture, increased disease resistance, and even better self-repairing ability. Self Repairing Perennial Ryegrass is a creeping perennial ryegrass that is more resilient and weather tolerant than traditional perennial ryegrass. Speare Seeds regenerating ability is what separates itself from traditional mixtures. We have chosen a variety designed for the Canadian colder climate and one that contains pseudo-stolons for a regenerating, self-repairing and revolutionary mixture. This mixture will provide grass with deep green colour. There is a high amount of endophytes in the mixture that will increase disease and insect resistance. Using regenerating perennial ryegrass, rhizome and quick germinating bluegrasses this mixture is full of benefits for overseeding with quick results. High-end Kentucky Bluegrass mixture to build a better root structure for better wear tolerance and to deliver superior colour and disease resistance. Each bluegrass brings unique and beneficial value to your turf grass. An all certified perennial ryegrass seed blend for repairing bare spots and thickening existing areas. Overseeding every spring and fall will maintain a sod-like lawn. Blend of turf species for home lawns and professional landscapes for a wide range of conditions. A 3-way blend of different turf species to deliver excellent drought tolerance, dark green colour and quick establishment to your turf grass. This mixture uses all varieties approved by the Turfgrass Water Conservation Alliance (TWCA). This mixture is designed for sports fields featuring the benefit of water conservation. 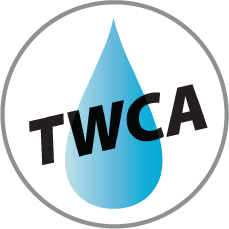 Products that become TWCA qualified will ave successfully met a stringent set of criteria to assure you of true water conservation benefits. The Turface Athletics™ line of products and services maximize sports field safety and performance. For over 40 years, Turface® sports field conditioners have been specified by leading NFL, MLS and collegiate programs. The porous ceramic particles help reduce compaction, manage moisture and promote a healthy root zone to keep natural grass fields in top shape. Prevent slippery, wet conditions and protect turf. Rescue fields from standing water and mud. Whether you’re renovating an infield, building a batter’s box, improving native sports turf or simply saving the game from a spring rain, Turface® has the products to Keep America Playing. No other brand of infield conditioner is used more than Turface® for managing moisture, improving drainage and keeping skinned surfaces safe and playable. The porous, calcined clay particles absorb more water and resist compaction better than competitive products. With its low bulk density, Turface® covers more surface area than other infield conditioners, providing greater cost savings. 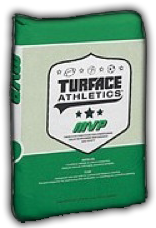 Turface MVP® – The Perfect Utility Player! 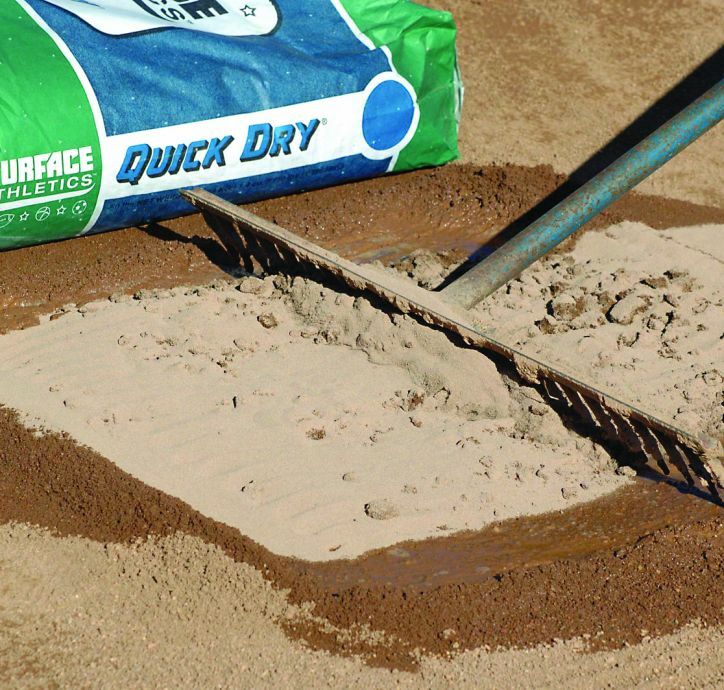 Its larger particle size is excellent for incorporating into infield mix, topdressing to create a consistent and level playing surface, helping prevent rain outs, and improving native soil for turf renovations. More groundskeepers rely on Turface® Pro League® than any other infield conditioner for one fundamental reason—to give players the opportunity to perform at their best. And now with improved manufacturing and dyeing processes, the performance is better than ever. Turface Quick Dry® – Save the Game from Rain! Whether your field is built on native soil or sand, Turface Athletics™ offers turf conditioners that improve footing, enhance drainage and hold just the right amount of air, water and nutrients at the root zone where your grass needs it! Field & Fairway™ – For quick fixes and long-lasting turf health. Field & Fairway™ is the perfect choice for conditioning native soil sports turf. 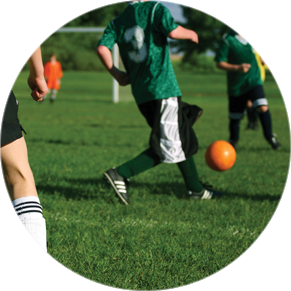 Field & Fairway is ideal for heavy traffic areas near goals on Soccer fields. Its uniform particle size makes it perfect for new field construction, topdressing and infilling aerated fields. It is available in natural and emerald green to blend in with the color of sports turf. Greens Grade™ is the perfect choice for conditioning sand-based sports turf. Its uniform particle size makes it ideal for new field construction, topdressing and infilling aerated fields. It is available in natural and emerald green to blend in with color of sports turf. No two areas of the diamond receive more abuse and constant wear than the pitcher’s mound and home plate. Make sure they are built and maintained properly with the best virgin packing clays in the industry. No two areas of the diamond receive more abuse and constant wear than the pitcher’s mound and the batter’s and catcher’s boxes. Make sure they are built and maintained properly with the best, virgin clay blocks in the industry. Blocks are 2 ½" x 4" x 8"
No matter what time of the season it is, there’s always something you can do to improve the health of your field. Maintain excellent turf: Incorporating Turface® into the soil of your natural grass fields reduces compaction and improves water- and air-holding capacity at the root zone. Improve field safety and stimulate recovery: Adding Turface® to water-soaked fields instantly absorbs excess moisture. Endophyte Enhanced Mixture - Greatly reduce the risk of insect infestation with one of these endophyte enhanced mixtures. Endophytes are a natural and beneficial component to a lawn seed mixture. After the grass seeds germinate, endophytes create a natural compound within the plant which insects prefer not to feed on. Turfgrass Water Conservation Alliance (TWCA) - These qualified products have successfully met a stringent set of criteria to provide true water conservation benefits.